Area Code - Specific area code into which calls were delivered (or attempted). 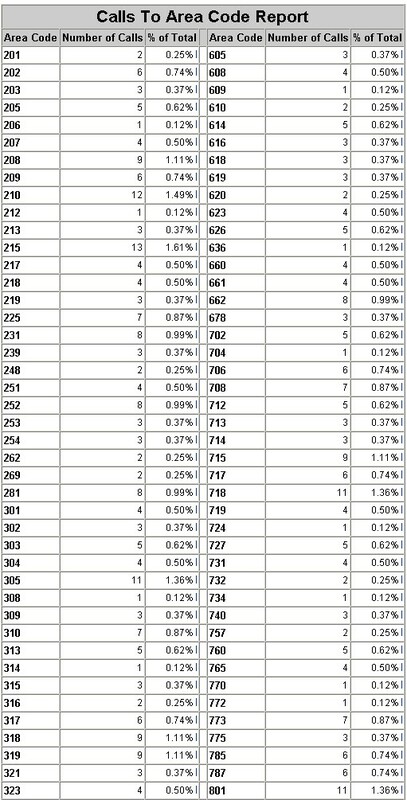 Number Of Calls - Total number of calls to each area code. % of Total - Percentage of calls to this area code versus total number of calls.